We know the impact that exercise can have on both our bodies and our minds. It can reduce the risk of major illnesses and help us sleep better, reduce stress, alleviate anxiety and sharpen our memory. As Dr Nick Cavill, a health promotion consultant, has stated, “If exercise were a pill, it would be one of the most cost-effective drugs ever invented." So it shouldn't really come as a surprise that engaging in sports and exercise can be greatly beneficial in the rehabilitation ex-offenders. Being involved in sport can help build valuable life skills, improve the possibility of finding sustainable employment and ultimately reduce the chances of reoffending. The National Alliance of Sport for the Desistance of Crime (NASDC), set up and managed by the 2nd Chance Group, recognises the power of sport to prevent offending and rehabilitate offenders. It is one of the leading practitioners and sources of evidence for using sport in the criminal justice system, convening key stakeholders to support the delivery of best practice, policy and strategy, and providing a platform to share learning and celebrate success. How can sport improve the chances of finding employment? Involvement in sport allows individuals to develop key life skills which are not only valuable on a personal level, but are also highly sought after by employers. StreetGames is a national charity dedicated to developing sport within disadvantaged communities. In their Briefing Paper 'Using Sport as a Mechanism for Tackling Anti-Social Behaviour', they found that engagement in sport can help increase confidence, resilience and communication skills (including listening and empathy). The clear boundaries that are created and enforced during the structured sessions that StreetGames runs, as well as the goals that are shared by all involved, also instils respect in the young people with whom they work. 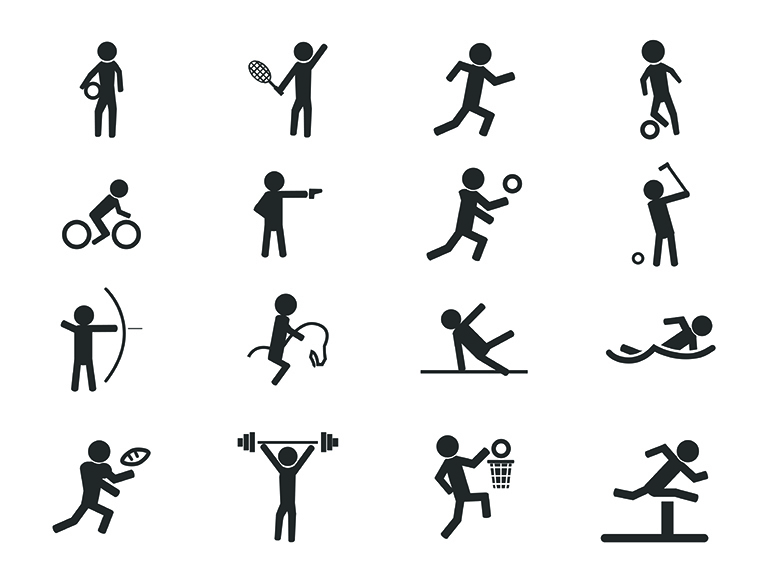 3 Pillars Project has similarly found that sport can help to develop these key life skills. 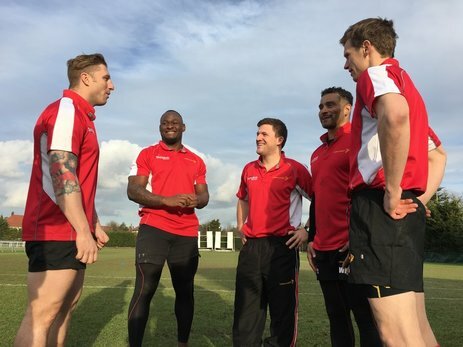 An organisation which works within the criminal justice system to provide positive role models through rugby coaching courses, it focuses on the three pillars of exercise, education and ethos as a foundation for effective rehabilitation. They believe that, as a result of their programme, participants will not only become more productive and determined to achieve, but will also learn how to set for themselves realistic goals, so that their motivation to achieve will be realised. Furthermore, Mike Crofts, the CEO of 3 Pillars Project, hopes that their rugby coaches, many of whom have a military background, will be able to instil qualities such as kindness, diligence, respect and reliability in the individuals with whom they work. This positive role-modelling and the relationships that are built between the participants and the coaches are central to the work of the 3 Pillars Project; once these relationships are built, coaches can then support participants off the pitch with their search for employment. StreetGames also recognises the importance of role-models for the young people with whom they work; dedicated and supportive coaches can set an example that is worth following. David Dein, former vice-chairman of both Arsenal Football Club and the Football Association, speaks regularly at prisons around the country. He motivates and inspires inmates through his career in football, using the sport as a context in which to explore ideas around teamwork, discipline and self-belief. "Football can transform lives for the better. I have seen so many individuals with a low self-worth who change suddenly and start smiling when they win a football match." These life skills, developed through sport are not only important for personal development, but are vital to have when it comes to finding employment - employers expect their employees to have and display such soft skills in the workplace. However, as well as building up these vital soft skills, involvement in sport can open up opportunities to gain formal qualifications. StreetGames has provided over 9,447 sports and coaching qualifications for the young people with whom they work, including lifeguarding and first aid qualifications. The courses they offer can act as springboards into apprenticeships or paid employment, as well as back into formal education. The 2nd Chance Group, mentioned earlier for its role in the creation and management of NASDC, uses the power of sport to engage people in the criminal justice system by using positive community role models who build up levels of trust and mutual respect so that alternative lifestyles can be introduced through a structured case management approach and programmes of education, training and mentoring. Just like StreetGames, the 2nd Chance Group offers individuals the opportunity to gain skills and qualifications that will help them find sustainable employment upon release. 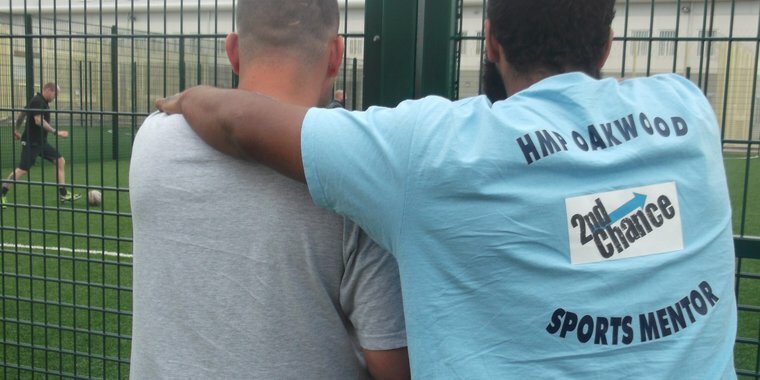 Marvin engaged with the 2nd Chance Project in 2013 during a troublesome time at HMP Oakwood. Ty, a 2nd Chance Sports Peer Mentor, told him about the 2nd Chance Project and the upcoming rugby academy. At the academy, Marvin could release frustration, gain skills and qualifications, keep fit and play rugby against different teams (including the staff). Marvin fully engaged in the programme and developed his skills as a Sports Mentor. The support from 2nd Chance continued post-transfer, which helped Marvin to maintain family relationships and secure employment in both HMP Brixton and HMP Standford Hill as a mentor working with young people. In October 2015, Marvin was released on temporary licence where he was a guest speaker for 2nd Chance and supported the launch of the National Alliance of Sport for the Desistance of Crime. From there, Marvin started volunteering with Saracens Rugby. Since leaving prison, Marvin has been working as a mentor, engaging young people identified as 'at risk' through a programme he's running himself in a South London school. As we have said before, employment is the single most important factor in reducing reoffending. However, in addition to the positive impact that it can have on becoming employment-ready, there are other ways in which engagement in sport can help reduce levels of reoffending. It is commonly known that relationships with 'anti-social' peers are a relevant factor in reoffending. Involvement in sport gives individuals the opportunity to access an alternative social network that does not support engagement in criminal activity. Furthermore, sport provides individuals with the opportunity to engage in exciting, risk-taking behaviour, which might otherwise be gained through offending. The 3 Pillars Project believes that sport is a positive outlet through which individuals can burn off some of their frustrations and aggression, which again might otherwise have been channelled into offending behaviour. Lastly, but by no means least, sport gives individuals the chance to come together as equals, accepted for who they are on the pitch and not judged for what brought them there.